Scope is a customizable bird's eye view of your Github project. It automatically pulls in issues & Pull requests and sorts them into columns you define. Think github projects on steroids. 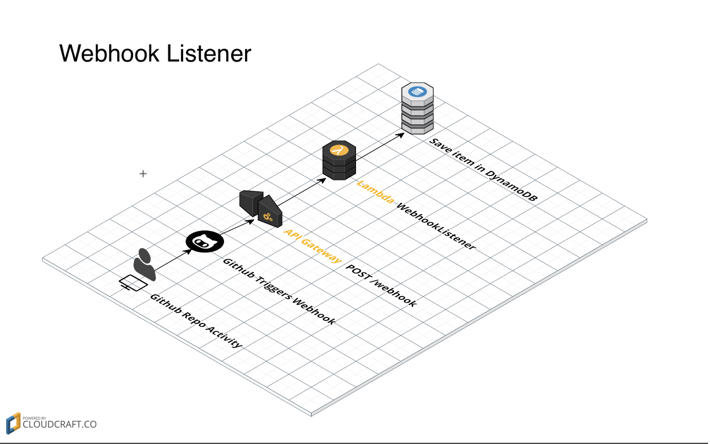 Built using event driven serverless tech, the application can be cloned down, configured, & deployed for your project in minutes. 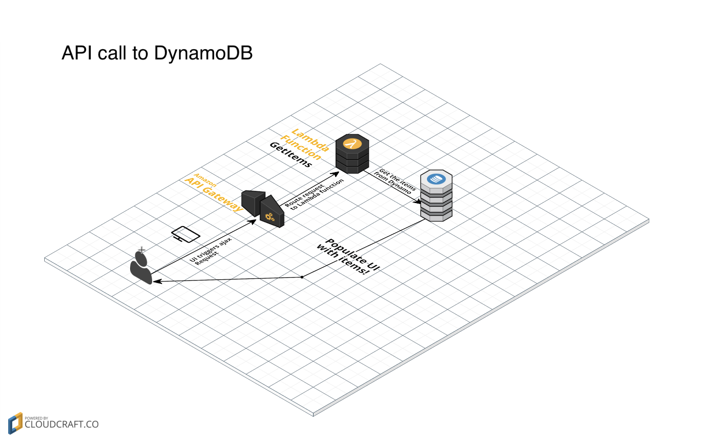 Deploy it as a stand-alone application or embed it directly into your project's site. Data automatically updates when activity happens in your repository and your status board will reflect the latest state of your project. 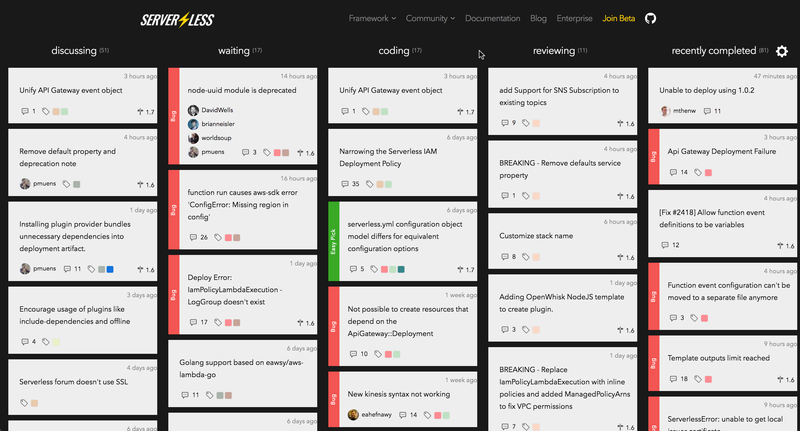 We built this tool for our community to help keep people up to speed with what is happening with the serverless project & to highlight places where we actively want feedback + collaboration.